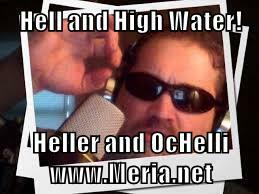 10/9/18 Hell & High Water with Meria and Chuck Ochelli. Nikki Haley gone; 5 Catholics on Supreme Court backed by Federalist Society & Knights of Malta; Who is Kavanaugh? Believe women. Men are victims too of sexual abuse; the sham FBI investigation; Election 2000 & the Supremes; the Electoral College; “Code Red” & “Survival of the Richest”; paid protesters? trump fans were always there waiting to be picked up; trumps supposed wealth; The film Chappaquiddick; God installed trump; FEMA; the lack of the sacred; weather manipulation; youtube; exhaustion;IMF on world economy.